The Food Alphabet and More: Shakey's Monday Madness is back!!! 40% off your favorite Chicken and Mojo's!!! Shakey's Monday Madness is back!!! 40% off your favorite Chicken and Mojo's!!! Always finding ways to cater to its Guests, Shakey’s has grown to be a favorite hang out among Filipinos. From their mouth-watering Thin Crust pizzas to their all-time favorite Chicken ’N’ Mojos, their ever-dependable menu has evolved over the years to cater to every Guest’s craving. 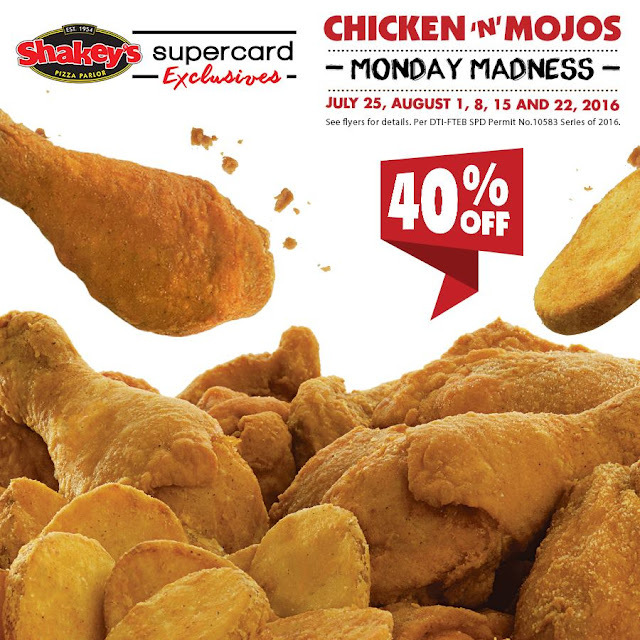 As a place that Filipinos know that they can count on for good times and great memories, Shakey’s is giving their Guests a good reason to look forward to Mondays much, much more through their Chicken ’N' Mojos Monday Madness Promo. An exclusive offer for all SuperCard holders, the promo entitles card owners to discounts on all Chicken ’N’ Mojos packs on the following Mondays - July 25, 2016 and August 1, 8, 15, and 22, 2016. To be enjoyed alone or shared with family and friends, the Shakey’s Monday Madness promo is taking 40% off on the prices of the Solo (3pcs), Buddy (5pcs), Family (7pcs), Party (12pcs) and Blowout (20pcs) packs. Only available for dine-in transactions, Guests now have another reason to start their weekdays on a high note by planning their next Monday get-together at the nearest Shakey’s branch. For more information on the Shakey's Monday Madness promo, LIKE Shakey’s Pizza on Facebook and FOLLOW @shakeysph on Instagram. 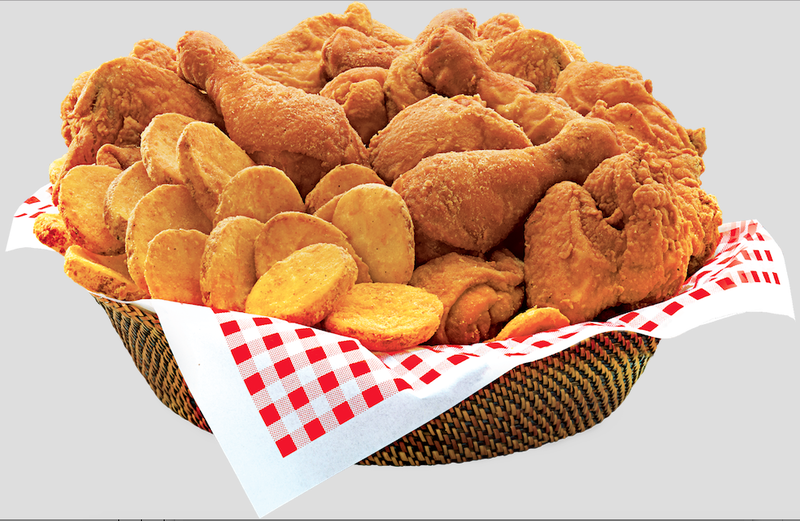 Enjoy 40% OFF on all Chicken 'N' Mojos packs every Monday beginning July 25 until August 22! Available in Shakey's branches nationwide. *Exclusive to SuperCard holders. For dine-in transactions only. Reload your Starbucks Cards and be Rewarded!!! S&R Membership Shopping is coming to CDO!!!! !